The United States has won four gold medals at the 2018 Winter Olympics, all in snowboarding –but that might change tonight. 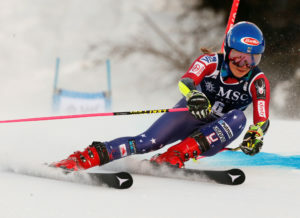 Bad weather conditions have forced several events to be rescheduled, including those featuring Mikaela Shiffrin, the 22-year-old U.S. skier who is vying for four potential Olympic golds. Here’s what to watch tonight. The finals for men’s downhill, ladies giant slalom and individual biathlons were all rescheduled for tonight, which means Shiffrin will finally race for her first Olympic giant slalom gold medal. Lindsey Vonn, who leads the U.S. alpine team with Shiffrin, is a day away from her Pyeongchang debut on Feb. 16 in the Super giant slalom. The U.S. has only won an Olympic medal in cross-country once, in 1976. There’s also a medal tonight in cross-country skiing, for the ladies’ 10km freestyle. The U.S. has only won an Olympic medal in cross-country once, in 1976. But Jessica Diggins, who won the 10 km world championship in 2015, is hoping to end that drought for her team. If she does, she would be the first American woman to medal in the event. Other golds up for grabs: the women’s 15km and men’s 20km individual biathlons. In curling, men and women face off in the round robin. The U.S. women face Great Britain after a tough loss to Japan, 10-5, in the first game. Great Britain is coming off a 10-3 win against the Olympic Athletes from Russia. The gold medal game for women’s curling will take place on the final day of the Olympics, Feb. 25. 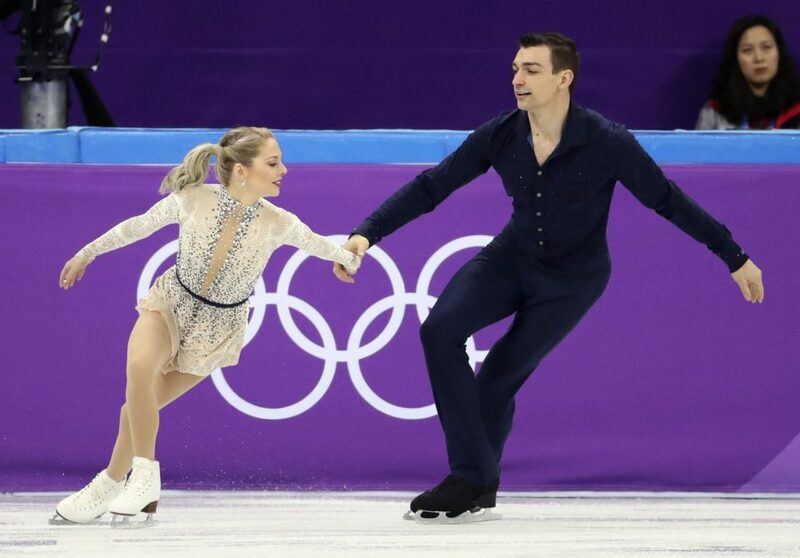 U.S. figure skaters Alexa Scimeca-Knierim and Chris Knierim have qualified for the finals as part of the top 16. But China, Olympic Athletes from Russia and Canada lead the event going into the medal round. The Knierims are less than five points from reaching the top 10, a goal they have said they’d like to achieve. There are 13 countries trying to get on the podium in the luge relay finals. There are 13 countries trying to get on the podium in the luge relay finals. Chris Mazdzer, already a medalist in Pyeongchang, is joined by Matthew Mortensen, Summer Britcher and Jayson Terdiman on the U.S. team. Germany is also a favorite. The big event is men’s snowboard cross. In Sochi, the U.S. claimed bronze in the men’s event. This year, Michela Moioli of Italy is a favorite to medal on the women’s side. One of her biggest competitors: Lindsey Jacobellis of the U.S. Jacobellis had a disappointing performance in the 2014 Winter Games, but is a five-time World Champion with a silver medal from the 2006 Winter Games already under her belt. Left: Mikaela Shiffrin of the U.S. is vying for four Olympic gold medals. REUTERS/Stefano Rellandini.